IKEA and Sonos have collaborated on SYMFONISK, a range of speakers designed to democratize the home sound system. Combining Sonos’s expertise in sound and technology with IKEA’s knowledge of home furnishing, SYMFONISK seamlessly fits into the home to enhance everyday life and integrates with the Sonos system. 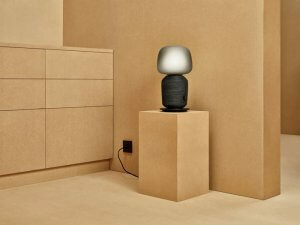 The SYMFONISK range includes the SYMONISK table lamp with WiFi speaker and the SYMFONISK book-shelf with WiFi speaker. Both products are compatible with Sonos’s own product range and can be steered through the Sonos app. The SYMFONISK table lamp with WiFi speaker blends into the home in a new way, making it easier to furnish sound. It combines light and sound into one product in order to de-clutter the home with less devices and cords. 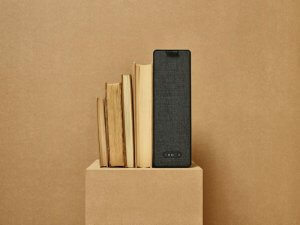 The SYMFONISK book-shelf speaker is a great connected multi-functional speaker at an affordable price. It has many versatile ways to blend into a home. 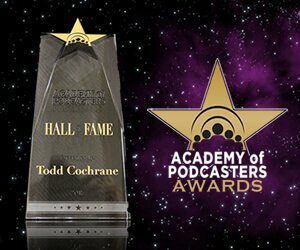 It can be tucked away or on display. The SYMFONISK book-shelf speaker can be placed vertically or horizontally. Both the SYMFONISK table lamp and the SYMFONISK book-shelf speaker will come to IKEA in August of 2019. I think the SYMFONISK speakers look nice, and will appeal to people who want to enjoy excellent sound and a speaker that is aesthetically pleasing to the eye. Samsung’s SmartThings might be one of the smarthome market leaders but its branded sensors aren’t the cheapest by a long way. Savvy SmartThings specialists are constantly on the hunt for cheaper devices from other vendors but these often require custom code (device handlers) or strange steps to get them linked up. 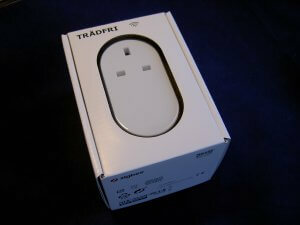 Coming from the other direction, Swedish homemakers Ikea have their own smart home system called Tradfri. It’s currently more of a Philips Hue competitor as it focuses on lighting but it is expanding and has recently brought a smart plug to market….or as Ikea calls it, a wireless control outlet. 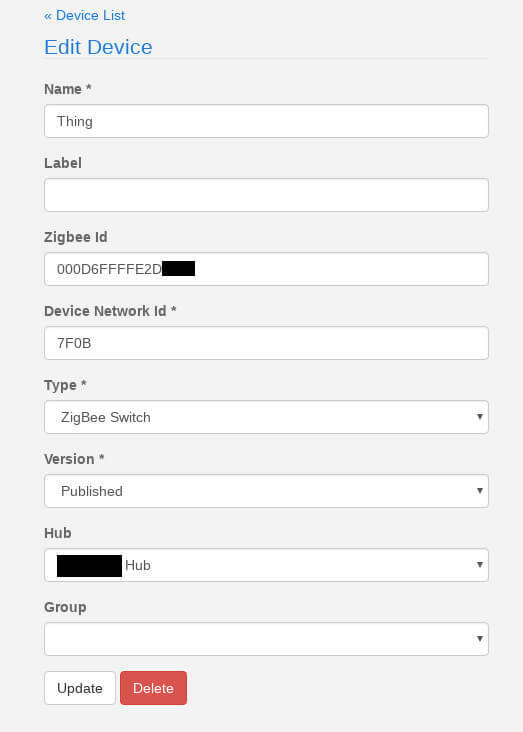 It uses Zigbee for communication, and best of all, it only costs GB£9 compared with over GB£40 for the SmartThings variant. Let’s take a look. The Tradfri wireless outlet isn’t going to be winning any design awards. It’s plain white plastic all round, with a hidden white LED at the bottom. Right underneath is a small pinhole for resetting the device with a paperclip. There’s no override button to turn the plug on or off, so keep a smartphone or tablet handy. The unit is rated at 13A / 3kW but not for inductive loads, i.e. no washing machines. 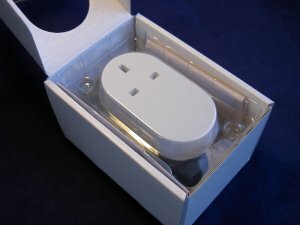 Enough of what it looks like…can the Tradfri smart socket work with SmartThings? It certainly can! It just takes a little care and some simple configuration via the SmartThings portal. 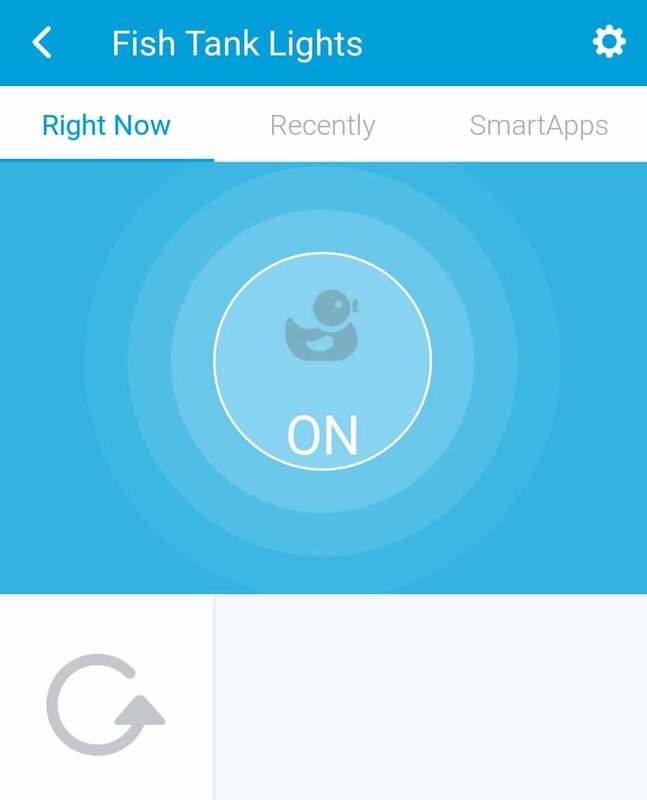 There’s no need for device handlers or any advanced SmartThings tweaking. The first step is to get the outlet paired with SmartThings. 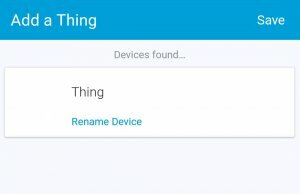 Fire up the SmartThings app (I’m still using Classic) on your phone or tablet and choose “Add a Thing”. The app will start looking for devices and there’s two gotchas here. One, the Tradfri device needs to be reasonably close to the SmartThings hub and two, the device needs to be reset via the pin hole on the bottom of the case. Just push in with a paper clip for a few seconds and the little LED will pulse at the bottom. 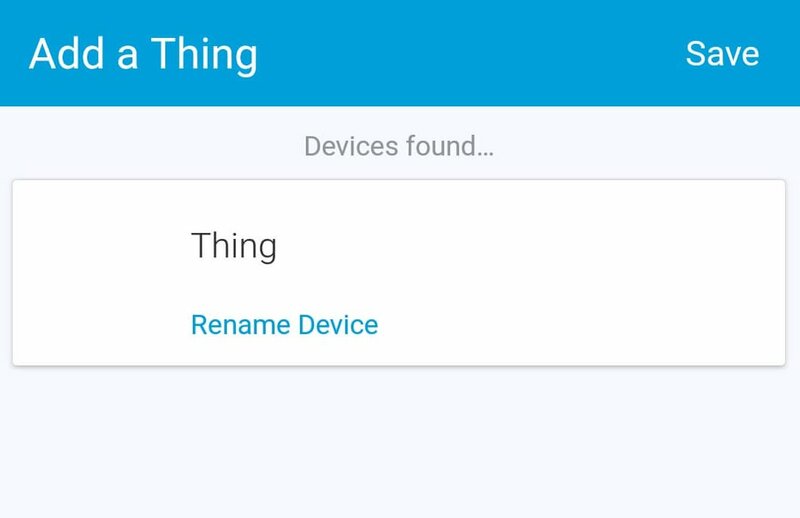 Within a few seconds, SmartThings will find a Thing but won’t know what type of Thing it is or what features it has. 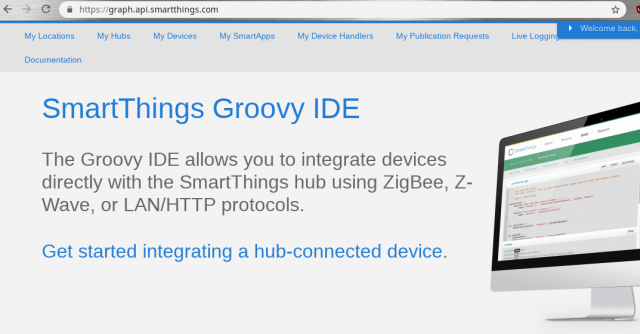 This is where the SmartThings IDE comes in at https://graph.api.smartthings.com/. 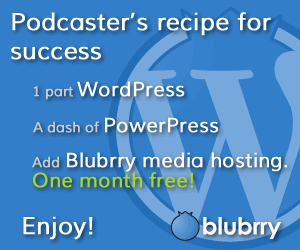 You’ll need to login with either a Samsung or SmartThings account. Once logged, in go to My Locations and choose your place. I’ve had to redact a few items for my privacy. Now click on devices to get all the devices in the location. Scroll down through the list until you find the Thing. To make it easy, it’s in alphabetical order. Click on Thing and then Edit to see the device’s current properties. 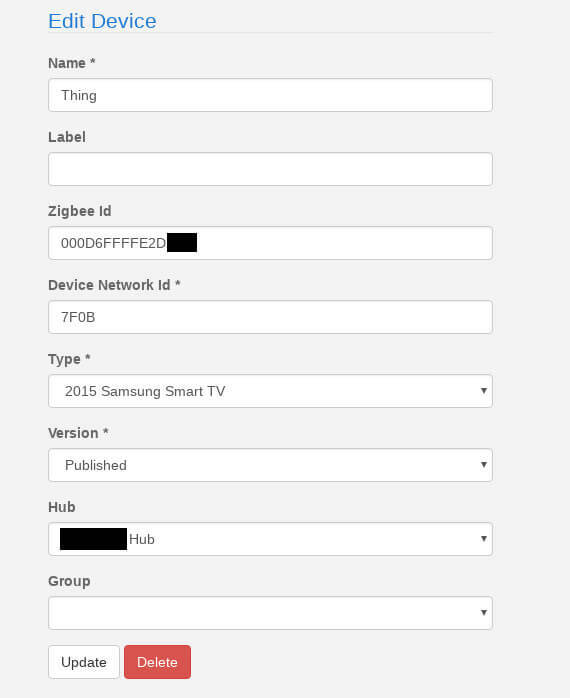 Change where it says 2015 Samsung Smart TV to ZigBee Switch and then hit the Update button. The Thing’s revised entry now has ZigBee Switch and Local processing, which is a good thing. Simply it means that any activity by the sensor is processed locally by the SmartThings hub and isn’t handed off for cloud processing. 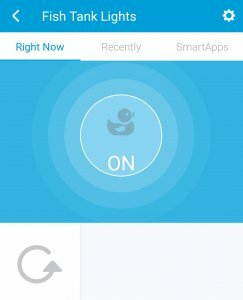 Returning to the SmartThings app on the phone, the system now knows that the Thing is a power outlet and has updated the functionality. Tapping on the screen toggles the Tradfri smart plug with the relay clicking almost instantly. Of course, “Thing” can be renamed to something more sensible, like “Fish Tank Lights”. And that’s it. The Tradfri wireless outlet is now an integrated part of the SmartThings setup and can be used in Automations and SmartApps, and all for only GB£9, which is a total bargain. 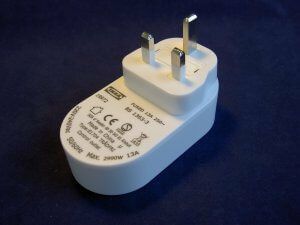 As a further benefit, the outlet works as a Zigbee repeater which strengthens the Zigbee wireless network. The only downside I have found is that there’s no physical override button to turn it on or off, but that’s a minor quibble. 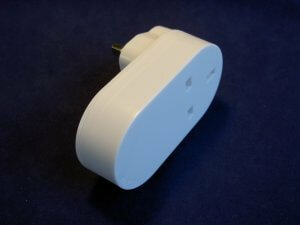 To summarise…..if you have SmartThings, the Tradfri wireless outlet works perfectly with it and costs GB£9. Get down to your local Ikea and get stocked up. Or watch my video below for more details.